THE proposed pedestrian crossing for Broad Street, Lyme Regis, has been given final approval after months of going back and forth. Lyme Regis Town Council first requested a pedestrian crossing in 2016 when more than 600 residents signed a petition in favour of the idea. However, concerns have since been raised about its proposed location between the Pug & Puffin and Joules stores, the potential for traffic congestion and the loss of four or five on-street parking spaces a crossing would cause. 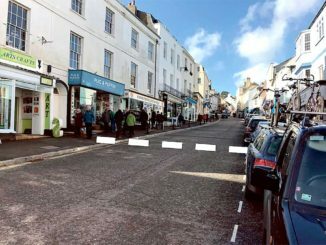 Dorset County Council’s highways officer recommended refusal of the crossing, saying the loss of parking would adversely affect local businesses. But the county’s Regulatory Committee unexpectedly went against the recommendation, instead putting it forward for approval by Cabinet as they felt the benefits of the crossing outweighed the disadvantages. 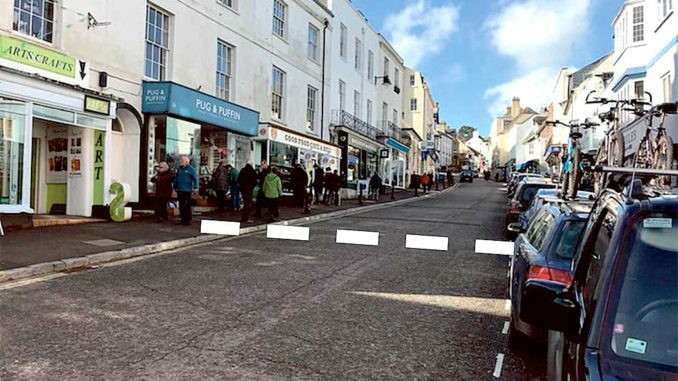 Lyme Regis Town Council then formally retracted its support for the crossing over parking and traffic congestion concerns, despite pleas from elderly and disabled residents who said it was needed to cross the road safely. However, county councillor Daryl Turner confirmed this week that Dorset County Council’s Cabinet has now given final approving for the crossing, meaning it will go ahead. 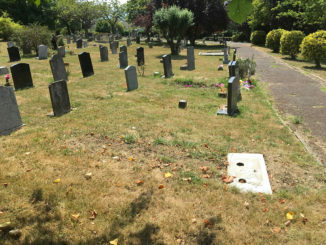 Despite the town council having retracted its support for the crossing, council members Cheryl Reynolds, Steve Miller and Richard Doney still attended the Cabinet meeting in support of the proposal, along with Lyme resident Lizzie Wiscombe, who is partially sighted and made the initial request for a crossing. As well as recommending approval of the crossing, the county’s Regulatory Committee also recommended that the Broad Street bus stop currently sited outside Co-op be moved further up the road to its original position, allowing for more on-street parking spaces to be created. 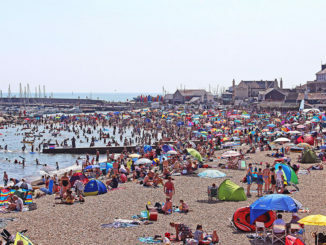 Lyme Regis Town Council has discussed the possibility of moving the bus stop for some time, and the suggestion was put to the Regulatory Committee by town and district councillor Cheryl Reynolds, who also campaigned strongly for the crossing. Councillor Turner added: “I have met with officers in Broad Street recently and believe we have a pragmatic solution. This initial review shows that there does appear to be some scope to mitigate some, or all, of the parking lost for the proposed puffin crossing. This would all be subject to detailed design, consultation, Transport Regulation Orders and discussions with the bus companies. “To gain the best overall result from this I believe we need to treat all these issues as a single scheme and therefore added a third recommendation to the two, unchanged, recommendations from the Regulatory Committee. Anyone that’s watched the antics of pedestrians in lyme regis know its pointless having just one pedestrian crossing. The only reason for crossing the road is to avoid walking past the big issue seller. Therfor two crossings are needed either side of the seller’s pitch.